In spite of the short-term economic benefits it may bring, the mining and processing of precious metals and gems is hazardous for workers and communities alike, and can often devastate important ecosystems. Yet boycotting the use of mined minerals would deprive literally millions of artisanal miners and gem manufacturers of desperately needed livelihoods. At CRED, we use our demand for minerals to help improve the livelihoods and protect the environments of the people whose lives are affected by our business activities. As the pioneers of fair trade practices in the jewellery industry, we have constantly sought partners who reflect our values and who can help us achieve our dream of 100% independently certified fair trade jewellery. We have helped develop fair trade practices for mining gold and silver, and this was used as the basis for the standard for Fairtrade certified gold launched in 2011. We are currently working with mines in Tanzania, Uganda & Kenya to introduce Fairtrade gold from Africa .We imported the first African Fairtrade gold in autumn 2017. We are continually looking to improve & develop our sourcing of precious metals & gemstones. It’s a work in progress. CRED only uses gold certified with the Fairtrade stamp. 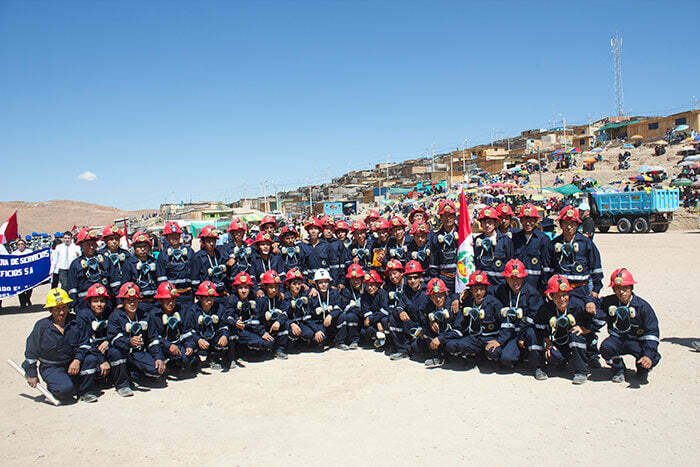 Our gold comes from small scale miners at the Magdesa mine at Cuatrohoras in Peru. The Fairtrade gold certification is an independently audited criteria by Fairtrade International (FLO) to enable artisanal and small-scale miners (ASM) to improve their livelihoods, giving assurances to retailers and consumers that the miners are getting a fair deal for their work. All Fairtrade gold is mined under stringent social and environmental criteria, which is independently audited. To receive this certification, the miners have developed democratic and accountable organisations and formalised all their operations, they respect their environment and use safe working practices. The certification means that miners are paid a guarenteed Fairtrade minimum price, they receive a premium on the price to invest in their community and they develop long term relationships with their commercial partners. The Fairtrade premium enables them to live better, send their kids to school, put food on the table and develop their communities. Mines, miners and metals are independently audited by FLO Cert against the Fairtrade standard. The full Fairtrade Standard can be downloaded here. Since it's beginning, CRED has been working towards the creation of the Fair trade standards for precious metals. Our pioneering work, and the standards that CRED and Corporación Oro Verde have been working under since 2002 have formed the basis of the criteria for this Fairtrade gold standard. There are now a small number of mines in south America whose mines have the Fairtrade certification for the gold they mine, and any silver found alongside it. CRED personally visits each of these mines frequently, so we are not relying on third hand reports, and we have built personal relationships with the mines and the miners. Since Valentines day 2011 every piece of CRED gold jewellery is created with certified Fairtrade gold and receive the additional Fairtrade stamp alongside the hallmarks and CRED stamp. CRED’s unique blend of 18ct white gold is made with a higher-than-normal palladium content, which gives the same classic colour and finish without the need for Rhodium plating. This means our white gold jewellery won’t lose its shine or change colour. 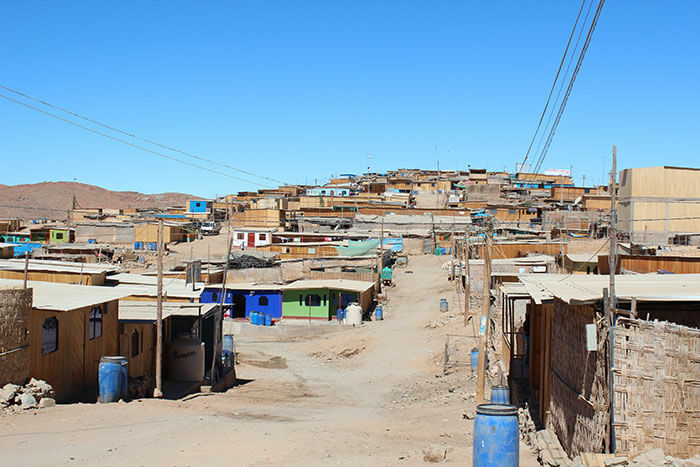 The ratio of societal value in large-scale mining is much lower than in small-scale mining. Small-scale mines employ more people rather than being mechanised, don’t use up deposits as quickly and the revenue stays in the community. Small scale mines tend to be where there are richer deposits, and are more accessible, for example where gold has come to the surface through erosion such as on riverbeds or in mud. There are an estimated 100 million families and dependants involved in small-scale mining throughout the world. Artisanal and small-scale miners produce just 15% of global gold supplies, but make up 90% of labour in gold extraction. Through Fairtrade gold certification, miners can improve their economic, social and environmental conditions. Read about the difference the Fairtrade premium made to one community in just one year of the certification. Fairtrade is a tool for development that ensures disadvantaged workers in developing countries get a better deal through the use of the international FAIRTRADE Mark. The FAIRTRADE Mark is a registered certification label for products sourced from producers in developing countries. For a product to display the FAIRTRADE Mark it must meet international Fairtrade standards which are set by the international certification body Fairtrade Labelling Organisations International (FLO). These standards are agreed through a process of research and consultation with key participants in the Fairtrade scheme, including producers themselves, traders, NGOs, academic institutions and labelling organisations (Definition from the Fairtrade Foundation). Many different products have received Fairtrade certification, from coffee and tea, to footballs and cotton.